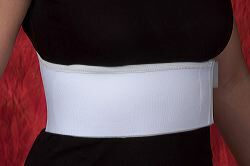 Adjustable fit with one side of belt made of cotton backed foam. Features self locking closure. 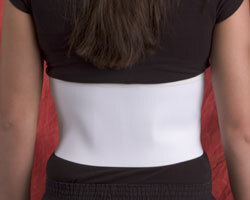 Female belt has comfortable contoured front. 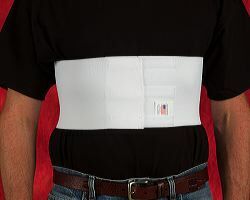 This belt recommended for short-term use. 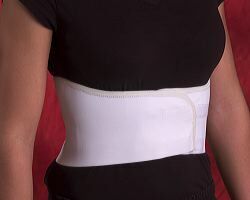 Elastic knit material with three self locking straps for secure closure. 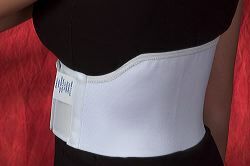 Female belt has comfortable contoured front. 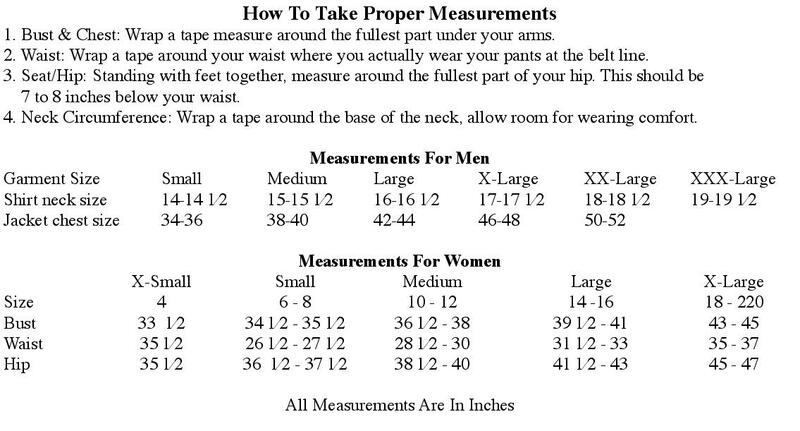 This belt recommended for short-term use. 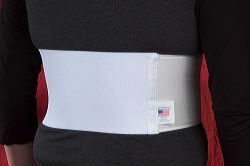 Comfortable six inch elastic knit material with self locking closure. Three inch knit immobilizer bands at the wrist and upper arm hold the arm stable. 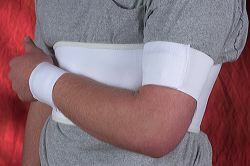 Attached wrist and upper arm cuffs have self locking closures. 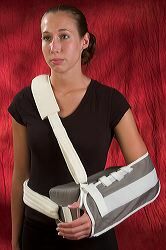 Arm sling with pillow support and adjustable shoulder straps. Recommended use for arthroscopic and open rotator cuff repair, partial cuff tears after decompression and mumford procedure, post op bankart procedures and soft tissue strains and repairs.